John Mayer's BlackBerry Storm | BlackBerry Blast! 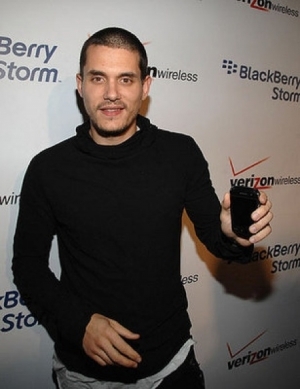 So you thought John Mayer was using the BlackBerry Bold right? After all, he was the first celebrity to get his hands on the Bold. Well here he is with the new BlackBerry Storm. I wonder which one he likes better?